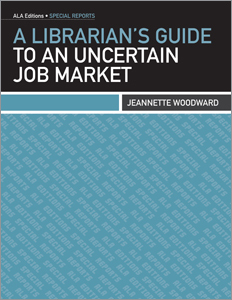 Today’s post is an excerpt from A Librarian’s Guide to an Uncertain Job Market, by Jeanette Woodward (2011. Chicago,IL: American Library Association). It’s got some excellent, very specific advice about the work you can do to be an engaged and smart job hunter. I’m happy to be able to share it with you. At some point in the near future, you hope to be sitting opposite a library administrator or search committee convincing them that you are the best applicant for the job. However, that meeting will undoubtedly be preceded by many, many small steps. The secret is preparation and that preparation must begin long before the interview. Actually, it all begins as soon as you discover the job announcement. Once you’ve decided that this is an opening you may want to pursue, immediately begin learning more. You’ll need to investigate not only the job itself but also the library and the people, especially senior staff, who work in that library. All of us, I suppose, tend to focus on ourselves. The people to whom you are sending your application are thinking not about you but about themselves and their library. They have a problem- in other words, there is work that’s not getting done and plans that are not being implemented. They are interested in how someone might solve their problem and how well that someone might fit into their world. Your task is not so much to tell them about yourself as to focus on their need. Begin by examining the job ad carefully. Check to see if there are other versions online (the library’s own website may have a much longer and more complete announcement since some job lists charge by the word). You can do this by taking an exact phrase from the announcement, enclosing it in quotes, and pasting it into a search engine. Assemble all the versions you can find and keep your fingers crossed that they were written by a librarian and not a human resource professional. What do they really seem to be looking for? How is this announcement different from others you’ve seen for similar jobs? In one sense, your challenge is to become a mind reader. The job that’s open in this particular library is unique. In many ways, it’s unlike other jobs with identical job titles in other libraries because this library has evolved differently. It has different goals, different needs, and a different cast of characters. Can you read between the lines to discover what these people are really looking for? Focus on them, not yourself. Don’t begin comparing your skills and experience with their requirements until you really understand what they are looking for. How can you find out more about this position? What do you already know about the library? Your friends and colleagues usually provide the best insights so ask around. Use your social network to get all the information you can. Is this a new position or is the opening the result of a recent resignation? It’s helpful to know whether you will be following in someone else’s footsteps or will help create a new position. Have two positions been merged and would you be expected to do both? These situations have their advantages and disadvantages but it’s a good idea to know what you’re getting into. At the moment, the job market is far from sunny so you may be applying to libraries far distant from home. If this is the case, you’re going to have to do some real detective work and as a librarian, you’re better equipped for the task than job applicants in other fields. Use the Internet to find out all you can about the libraries in which you’re interested, in other words the staff size, names and titles of senior librarians, budget, etc. If the announcement asks you to reply to someone other than a human resource administrator, find out who that person is. You can probably gather enough information to make some educated guesses about the people who will make the hiring decision. Learning about the human side of libraries will help you better understand what they’re looking for. LIS professionals are so well represented online that you can often learn a lot about them as individuals including their perspectives and preferences. Some of the information will be useful in the cover letter and if you make the cut, it will be invaluable in the interview. Also gather enough information to decide whether this is a place where you’d like to live. Find out about the cost of living, especially the cost of housing, the unemployment rate, the schools if you have children, and other quality of life indicators. As we all know, statistics can be boring and seemingly meaningless. Don’t just look up numbers. What do the numbers really say? Compare them with your home community. Consider whether unemployment numbers are improving or budget cuts have been so draconian that basic services like education and police protection are inadequate. Be sure to bookmark local newspapers to get a feeling for how residents view their area. Though you may be feeling somewhat desperate, you don’t want to have to go through this again. Job hunting takes a lot out of you both financially and psychologically. You’re looking for a stable, supportive environment where you can recharge your batteries and grow professionally. There really and truly are jobs that you should avoid. Jeannette Woodward is a principal of Wind River Library and Nonprofit Consulting. 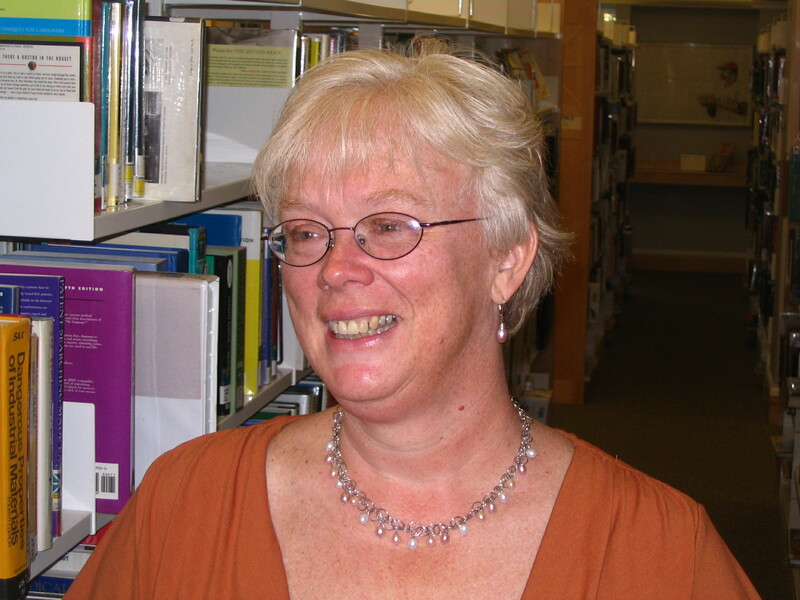 After a career in academic library administration, most recently as Assistant Director of the David Adamany Library at Wayne State University, she began a second career in public libraries as the Director of the Fremont County Library System in the foothills of the Wind River Mountains of Wyoming. Woodward is the author of several books including “The Transformed Library: Ebooks, Expeertise, and Evolution,” “Countdown to a New Library, 2nd Edition” (ALA 2010), “The Customer-Driven Academic Library” (ALA, 2008), “What Every Librarian Should Know about Electronic Privacy” (Libraries Unlimited, 2007), “Creating the Customer Driven Library: Building on the Bookstore Model” (ALA, 2005). 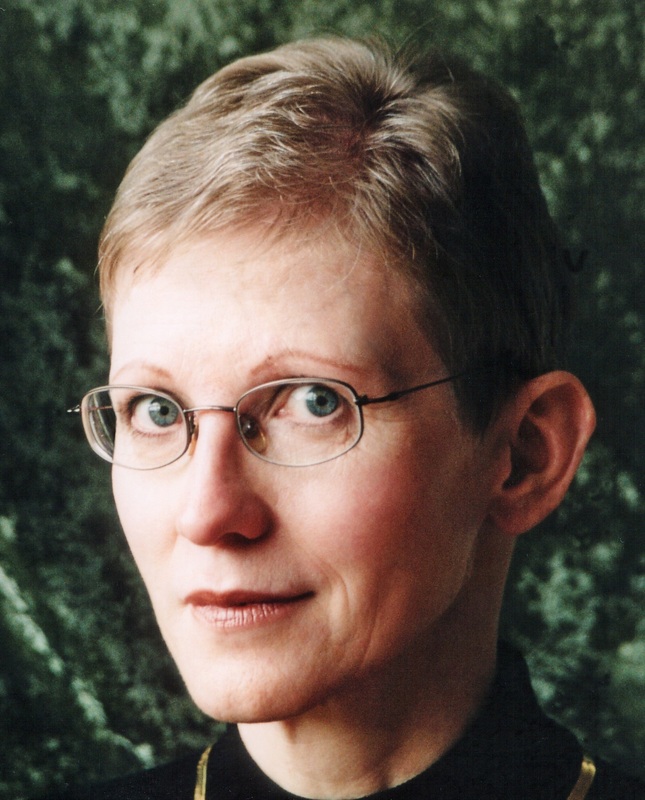 She is also the author of “Writing Research Papers: Investigating Resources in Cyberspace”(McGraw Hill, 1999) and “Finding a Job after 50: Reinvent Yourself for the 21st Century” (Career Press, 2007). She holds a masters degree in library and information science from Rutgers University with doctoral study at the University of Texas at Austin. Today I’m happy to give you an excerpt from a new book on professional development. The excerpt is from the preface by Dr. Robert P. Holley, Professor, School of Library & Information Science Wayne State University, Detroit, Michigan, and provides an overview of the scope and organization of the book, which incorporates the thoughts of a number of different authors, gathered together under the editing eyes of Carol Smallwood, Kerol Harrod and Vera Gubnitskaia. 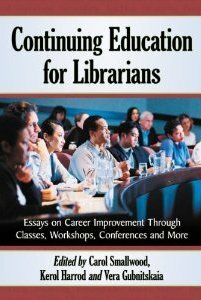 The title of this book, Continuing Education for Librarians: Workshops, Conferences, College, and Other Ways, only hints at the cornucopia of practical advice that the reader will discover in its twenty-eight chapters. I discovered new information and, more importantly, fresh perspectives though I have been an academic librarian and library science professor for almost forty years and teach courses that include continuing education. Most authors in the collection combine a general discussion of the topic with practical examples of their experiences. 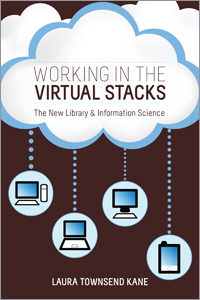 They avoid a Pollyannaish view that continuing education is easy in today’s age of reduced staffing, higher work expectations, and complicated lives; but they accurately point out that these factors require librarians to stay on top of developments in librarianship. The library science degree is only the beginning. 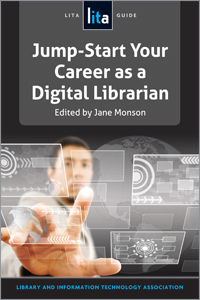 Employers expect librarians to acquire new skills and sometimes secure additional formal and informal credentials. Some of the case studies don’t turn out exactly as planned, but the authors agree that surprises were part of the learning process. The book is divided into eight parts of from two to eight chapters, but the parts are not mutually exclusive. For example, Part II, “Online Education,” deals with the delivery of the continuing education activities and gives advice on how to succeed in an online course (Francis). Similarly, the chapter from “Personal Life” by Ward, “Balancing Act,” gives her account of acquiring an additional degree but with the focus on how she managed to integrate the demands of her formal education into her personal life. While the content of some chapters overlaps, the authors emphasize different aspects and share differing experiences. The book covers all stages of a librarian’s professional career. The chapters on formal education include finding the right online library program for the MLIS (Jackson) and pursuing a certificate (McGlynn), a second masters (Rupp), or the ultimate achievement, a doctorate (Kimmel/Garrison). The reader also gets tips on how to make the most of workshops and conferences. Two authors (Mason and Butler) focus on learning more about special collections from workshops. The more adventuresome will profit from the experiences of Wise and Blackburn on attending an international conference where they discovered that different rules apply when varying library cultures come together. The two chapters on professional associations (Braccia and Farmer) straddle the line between formal and informal because these authors stress that as much continuing education occurs in the corridors as in the meeting rooms. Technology and Web 2.0 have a role to play in learning through Massive Open Online Courses (Bond) and in making contacts through social networks (Cooke and Goben). For me, learning by doing is the most revolutionary aspect of the book. Effective continuing education is not passive but arises from actively teaching others. Three traditional ways are emphasizing the teaching function of librarians (Ross and Sweeney), becoming an adjunct professor for a library and information science program (Wright), or teaching an information literacy course (Storm). For an unorthodox challenge, Benson suggests volunteering to give a presentation on a subject that the librarian doesn’t know much about as a surefire way quickly to become an expert on the topic. Other examples of active learning include organizing a fellowship program (Mediavilla) or hosting a conference (Root). The two chapters on mentoring (Creel and Zanin-Yost) take great care to talk about the continuing education value for the mentors as well as for the mentee. Money is the topic for two authors. Sheehan suggests casting a wide net to find scholarship funds to support getting the MLIS. From a different perspective, Soules looks at all the continuing education activities, many discussed in more detail in other chapters, that are free. Two chapters look beyond library skills. Marcus recommends acting training to improve personal interactions and to learn how to deal with unexpected situations. Similarly, Matthew Cook narrates how he profited professionally by integrating his interest in jazz into his work life. These brief summaries cannot do justice to the richness of this book, but they will have met my goal if they tempt you to delve more deeply into this volume. Choose first the topics that interest you the most. Don’t forget, however, that many chapters weave together the multiple strands of continuing education and professional development and that you might find valuable insights in the most unexpected places. 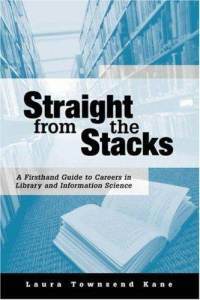 Straight From the Stacks: A Firsthand Guide to Careers in Library and Information Science (ALA Editions, 2003). So in today’s post, she offers general advice to applicants, what she calls ” What’s Funny, What’s Not, and a Series of No-Brainers.” I hope from this post you will gain not only a sense of her writing style and viewpoint, but some wisdom for your application process. I don’t like to think of myself as a Veteran Librarian, but with nearly twenty years in the field, I guess that’s exactly what I am. Though the thought makes me feel old, I will admit that experience has made me wiser. Throughout my tenure as an academic medical librarian, I have been a member of numerous search committees charged with filling professional librarian positions. I’ve come to the conclusion that there are certain aspects of a candidate’s application and subsequent interview that can instantly “make or break” them. I will cover each of these topics here, and hope that this hodgepodge of tips will be helpful to those seeking employment in the workforce. I could not stop laughing. I was so tickled that I had to immediately find it on the Web and play it again. And again. My 13-year-old son looked on with concern. “Um, Mom,” he said hesitantly. “You’re a librarian. Shouldn’t you be insulted?” I sobered up immediately and cleared my through. “Oh! Um… of course. Yes, indeed. I am terribly insulted!” Then I doubled over in laughter again. Should I have been insulted by the obvious stereotyping going on in that commercial? No way. It was so clearly over-the-top that you couldn’t help but laugh. Yes, there is a pervasive stereotype in our field, but isn’t that the case for most professions? Most of my fellow librarians have “gotten over” taking offense at the stereotypes. In fact, many of my colleagues think it’s just plain funny. My nine-year-old son (I have three sons!) likes to grab some fake glasses, slide them to the end of his nose, and peer down them, saying, “I’m a librarian.” He’s trying to rile me but he just looks so silly that I end up laughing. And that’s the point I’m trying to make here. Librarians have a sense of humor. I work in an academic medical library. We handle some pretty serious stuff. But you can always hear laughter in our meetings, in our offices, and yes – God forbid! – even out in the main library itself. It’s wonderful to work with a group of people who can be lighthearted and fun when appropriate. So what does this mean for someone applying for a professional librarian position? It means that you can lighten up a little. Don’t go overboard, of course, but let your sense of humor show. Just two months ago I was on a search committee for a position that had around forty applicants. I was given a stack of ten applications and had to pick the top candidates from that stack. Only one candidate made it to the top of my list – the one who stuck a purposely amusing sentence in the end of her cover letter. Guess what? She’s the person we hired. Her cover letter stood out for me because it made me laugh. I thought, “This person is well-qualified AND she has a sense of humor.” No matter how qualified a person is, nobody wants to work with a stick-in-the-mud. A balance of skill, knowledge, and humor goes a long way in my book. That Is SO Not Funny! I saw your posting for a Research Lab Assistant and feel that I am well-qualified for the position. Not bad, huh? It might have been OK if that had been remotely close to the position for which we were advertising! Clearly the applicant was copying and pasting and not checking his/her work. This seems like a no-brainer, but I have seen this happen many times: we receive applications with cover letters that were obviously written in the past for completely different positions. So here is a tip: double-check your cover letter! The cover letter, for me, is the top tool for weeding out candidates. You can only get so much from an application form; it’s the cover letter that either allows a person to stand out, or causes that fateful toss to the bottom of the pile. Here’s another tip about cover letters: prove that you did some research about the position and show interest in some aspect of what you’ve learned. Study the library’s website and see what kinds of programs and services they offer. In your cover letter, mention one or two things that stood out or caught your interest. For example, you could say, “I see that librarians at your institution are involved with developing LibGuides for library patrons. I have a nursing background and would love to develop a Nursing LibGuide to direct students to authoritative resources.” Prove in your cover letter that you have invested some time in determining whether you would be a good fit in the organization. Don’t take the easy way out by using a generic cover letter for all your applications. That’s the quickest way for your file to be dismissed. I always end an interview with the question, “Do you have any questions for me?” I am flabbergasted and disappointed that many people simply answer, “No.” Seriously?! No questions at all? My 3-year-old son has autism and rarely looks people in the eye. On those occasions when he does look directly into my eyes, I feel it – ZAP! – an instant connection, no matter how brief. I never knew the importance of eye contact until it was missing in my interactions with my son. I’m not a psychologist, so I can’t explain why direct eye contact is so crucial during an interview. I just know that when it’s completely missing, something is not right. It can be tough, but be sure to make frequent eye contact with your interviewers. I don’t mean you should stare continually into their eyes (that would be a little freaky), but just meet their eyes off and on as you answer questions. It’s a subtle yet very important connection. There have been several occasions when the search committee has had trouble deciding between two candidates. Do you know what eventually tipped the scales in one direction? A simple thank-you note. Whether by email or snail mail, it’s always wise to send a letter of thanks to the members of a search committee. Not only does it show that you appreciate their time, it gives you an extra edge over those candidates who don’t take this simple step. If you only remember one point from this post, remember this one: don’t ever say, “I became a librarian because I love to read!” Nothing shows more ignorance about the profession of librarianship than that short phrase. Enough said. Laura Townsend Kane, MLS, AHIP, is the author of “Working in the Virtual Stacks: The New Library & information Science” (ALA, 2011), “Straight From the Stacks: A Firsthand Guide to Careers in Library and Information Science,”(ALA Editions, 2003), and co- author of “Answers to the Health Questions People Ask in Libraries: A Medical Library Association Guide” (Neal-Schuman, 2008). 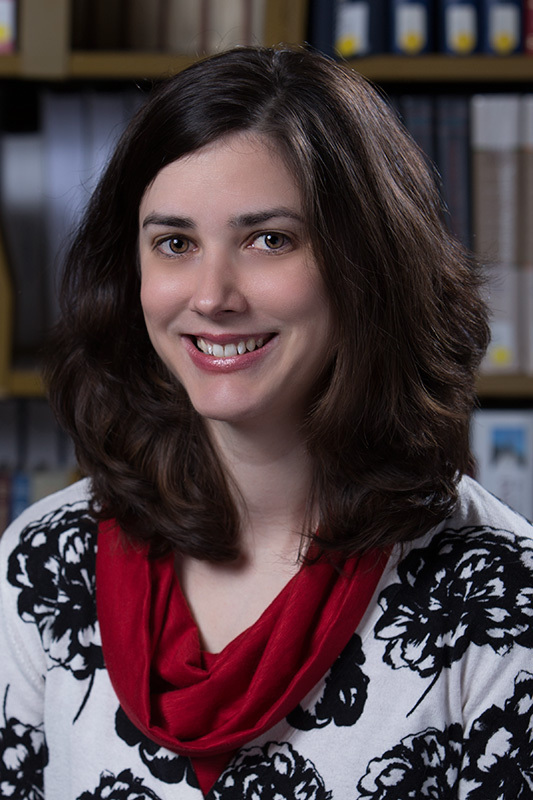 She is the Assistant Director for Information Services at the University of South Carolina’s School of Medicine Library in Columbia, South Carolina. She has also written several book chapters about librarianship career opportunities and several peer-reviewed journal articles on various issues in librarianship. She is an active member of the Medical Library Association (MLA) and its regional Southern Chapter, and is a Distinguished Member of MLA’s Academy of Health Information Professionals (AHIP). Here’s what I think: getting your MLIS is like earning your black belt. What it really means is not that you are an expert, but that you have mastered the basics, and now you’re ready to get down to the serious business of developing library skills. 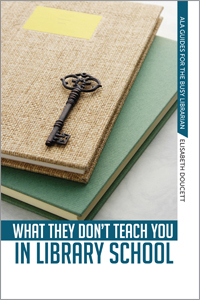 In this guest post, Elisabeth Doucett describes the book she’s written to help with that post-black belt library learning. This piece has also been cross-posted to her blog, If you’re intrigued by her perspective you should check it out! When I started working after I graduated from college I had no idea of how much I didn’t know. I happily jumped into my first job, assuming that my good education had prepared me to deal efficiently and effectively with anything. Boy, was I wrong! I found in that first job (I was a receptionist for six months) and the next job and the next job (and every job since then) that every workplace has all sorts of unwritten rules, expectations, and required skills that no one ever tells you about when you are interviewing. And, even when you figure out all of that for one job, the next job generally is completely different. I didn’t realize it at the time but this is why a mentor is such a powerful tool in helping you be successful in your job. A mentor can tell you what those rules and expectations are so that you don’t have to make yourself crazy trying to figure them out. A mentor is someone who becomes your “path-finder” to an organization, helping you discover the best ways to get work done, interact appropriately with your co-workers and, in general, be successful at your profession. The only problem with mentors is that good ones can be hard to find (not everyone is willing to dedicate personal time to helping someone else be successful in their job) and when you do find them, they don’t always know how to be a good mentor. Over time I have had several mentors who were all very successful in their own jobs but weren’t sure how to help me with mine. Since I wasn’t sure how they could help me either, things went nowhere pretty quickly! Learning from my own experiences with and without mentors is what led me to write What They Don’t Teach You in Library School. I wanted to write a book that would essentially be a mentor for new librarians, sharing with them some of the “secrets” to being successful in their new profession that they might otherwise only discover through painful trial and error. 3) the book needed to be informal because I thought that would make the information more accessible. To support these goals I start each chapter with a statement that describes what you will find in that chapter. This preview statement makes it easy to determine if you want to keep reading or move on to a different topic that might be more relevant to you personally. The preview statement is followed by an articulation of why you should care about the topic. Again, this is meant to help each individual figure out if the information will be useful. I don’t want readers to waste their time going over information that they already know or don’t think will have value to them professionally. The book is short, on purpose. I know librarians are generally loaded up with work the minute they walk in the door of a library and personal development time is hard to come by. So, my goal is to share information that the reader can go through quickly and is easy to read. There are lists and summaries and a few other resources that I’ve found helpful. None of this is meant to be exhaustive in nature. It is meant to be more like a conversation between two individuals in which one is sharing information with the goal of helping the other. Several of the chapters in What They Don’t Teach You in Library School focus on very standard librarian development opportunities: how to manage problem patrons, promotional marketing strategic planning, and facilities management (written by a library director who has been a great mentor to me in this profession, Bob Dugan). In those chapters I’m providing information that you would probably learn over time on the job. However, I included them because sometimes as new librarians we get dumped into situations right off the bat that require more experience than we have, fresh from library school. These are meant to prepare you in case that happens to you. The remaining chapters present information that I garnered from my business career. I’ve included them because they are not always thought of as skills that are necessary to be a successful librarian but I have seen first-hand how much mastering them can add to a librarian’s professional capabilities. So, you’ll find chapters that tackle topics like networking, managing confrontation productively, public speaking and thinking like a retailer. None of these chapters will make you an expert on the topic but they will give you some common-sense ideas about how to approach the matter at hand in a positive, constructive way. That attitude, in turn, will help your manager to see you as a professional who is doing a great job. My hope is that over time librarians will start to see the high value of these (and other) business skills and embrace them as being just as important as knowing how to catalog a book, or do a story-time, or conduct a reference interview. I very strongly believe that the more skills we can provide to our communities, the more our profession will stay valuable and relevant as we move into the future. Elisabeth Doucett is Director of Curtis Memorial Library in Brunswick, ME. Previously, she was the Assistant Director of the Lucius Beebe Memorial Library in Wakefield, MA. Liz holds a MLS from Simmons College; an MBA in marketing from the J.L. Kellogg School of Management at Northwestern University; and an undergraduate degree from Smith College in art history and classical Greek. Prior to her library career, Liz specialized in consumer marketing, working at Kraft Foods, Dunkin’ Donuts and Quaker Oats. She then consulted in the same field to multiple Fortune 500 companies. Before getting her MBA, Liz worked as a fundraiser in the development departments at Harvard and Boston University. Liz is the author of Creating Your Library Brand published by the American Library Association (ALA) in 2008 and What They Don’t Teach You at Library School, published in 2010. 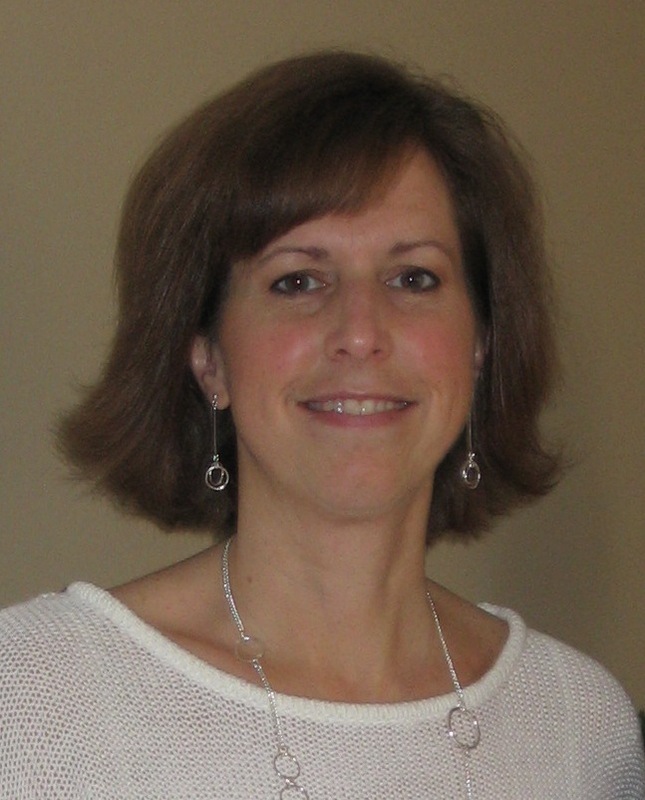 She has done presentations on marketing and branding to many different library groups including the Massachusetts Library Association, the Ohionet library consortium and the Maine Public Library Directors’ Institute. Liz is sure that she has the best job in the world and loves going to work. Every day brings a new challenge and ensures that boredom is never a problem! She believes that libraries have a vital role in today’s communities as focal points of community life, creativity, and learning. Liz and her husband have three dogs (they rescue older dogs). To relax she loves to read (of course! ), enjoying mysteries, thrillers, science fiction and history. She also recently started rug hooking and loves the process of designing a rug and picking the colors to make it come alive. 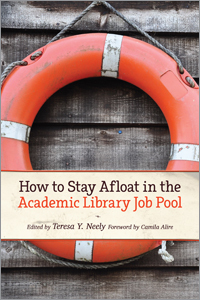 Teresa Neely is the editor of How to Stay Afloat in the Academic Library Job Pool, a collection of essays about various aspects of the academic search process. Dr. Neely is the director of Learning Space Initiatives at the University Libraries of the University of New Mexico. She has been a hiring manager, and a member of hiring committees. She also edited the book In Our Own Voices, which presents the experiences of 25 librarians of color transitioning from school to career. She graciously agreed to share her understanding and experience of the academic hiring process with us. Recruiting and hiring practices in most academic libraries are governed by the rules and regulations of the parent institution, the state, and the federal government. I have worked in academic libraries my entire professional career and have served on and chaired many faculty search committees over the years. There is a distinct difference between higher education and the for-profit sector in terms of how searches are managed. For example, academic searches take a long, long, long time. You generally have four or five committee members and a chair which means work moves as fast as the busiest person on the committee. In the for-profit sector, searches are probably not conducted by a committee and decisions are reached much faster. At my current institution, in addition to the search committee, there is a search coordinator who is very experienced with the university’s human resources procedures and requirements. She keeps the search committee on the right [legal] path throughout the process. This means, if you meet the minimum requirements for the position you are applying for, then your application is moved on to the next step in the process. A scoring rubric of some sort is usually employed to evaluate the application based on the preferred qualifications, once the minimum qualifications have been met. At this stage, rules could require the search committee to do a “second look” for self-identified applicants from protected classes, and females to bring up into the pool, with appropriate justification of course. If your application makes it through this stage, next stop is the telephone interview; Successful completion of this stage usually nets you an on-site interview. However, that is dependent on the number of people in the pool with successful telephone interviews and the cutoff point for how many candidates you want to bring on-site. Search committees bound by rules and regulations and federal and state laws should ensure that every application submitted in the required manner is treated to the same rigorous review process and every applicant meeting the minimum qualifications has an equal chance. And as in any process, every applicant meeting the minimum qualifications has the same chance to excel by writing a cover letter that addresses their qualifications for the position, submitting a curriculum vitae which clearly indicates the experience and education needed as spelled out in the position description, preparing for the telephone interview as if it is a “real” interview because it is, and putting their best foot forward during the in-person interview if they make it to that level. Competition is fierce for positions and the closer to entry-level you get, the more applicants you could be competing against. Books, websites and tips abound on what to do and what not to do when preparing a packet to submit for employment; however, for those seeking the academic track, things tend to be a bit different. I believe one of the biggest differences in faculty library positions and jobs in the for-profit sector is the former wants a curriculum vitae that spells out exactly what your experience is in as many pages as that takes. The latter wants the one to two pager. Apply early and often, but only once for each position, as academic searches can stretch over months, and remember, during the summers and between Thanksgiving and Martin Luther King Day, very little gets done. 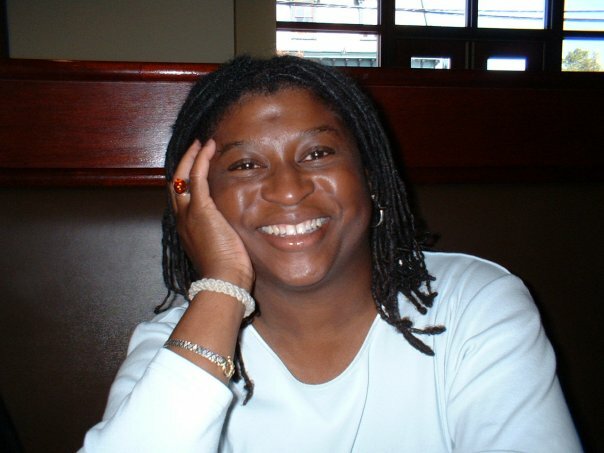 Dr. Neely has agreed to come back for an interview on the topic: Hiring Librarians of Color. If you have questions about this subject, either as a job hunter or a hirer of librarians, would you please email me at hiringlibrarians AT gmail? Now’s the chance to find out what’s really going on with that affirmative action form or to figure out how you can increase diversity in your organization.